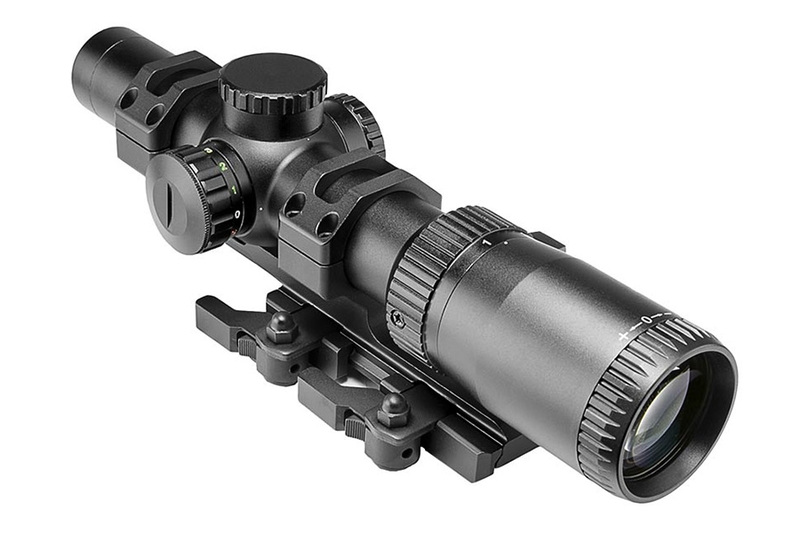 VISM SPR 1-6x24 combo rifle scope and mount. 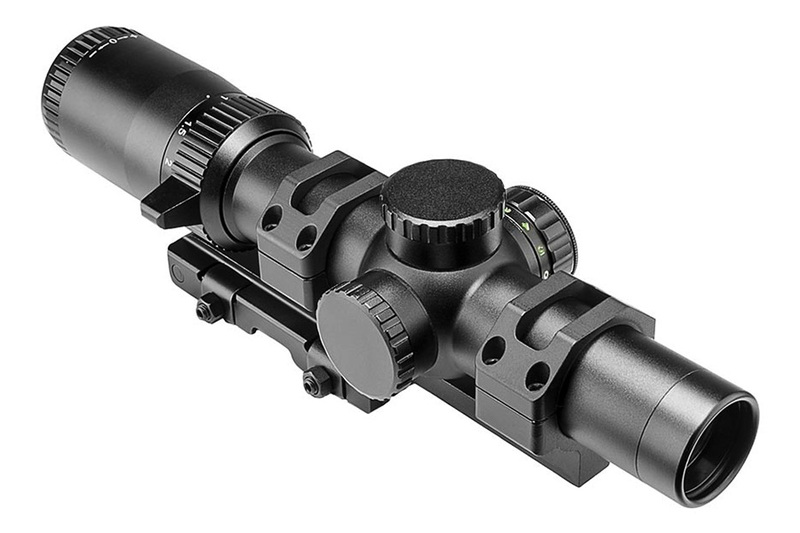 Features 1x to 6x variable power, 24mm objective, matte black finish 30mm tube, circle dot and crosshair reticle, illuminated red or green with adjustable brightness. 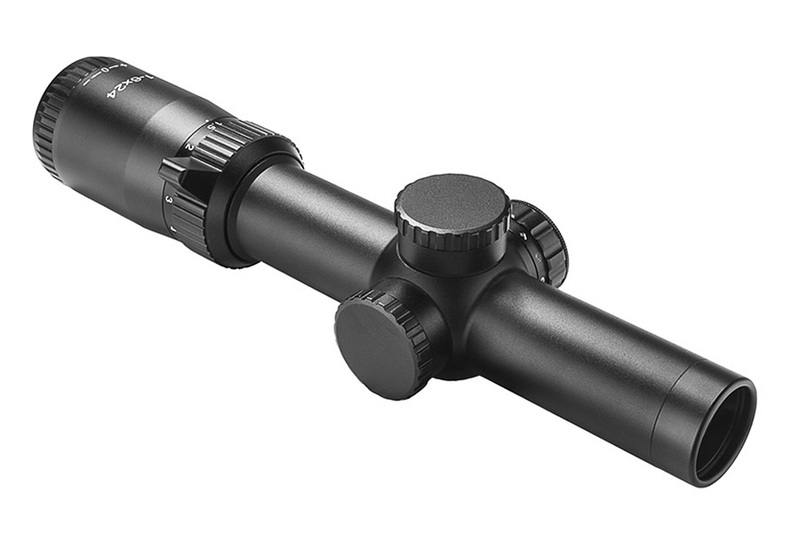 Mount features quick release levers forward offset, 30mm or 1" with inserts, removable optional 45 deg offset rail. Mfg # SEEFL1624GSPR-A. 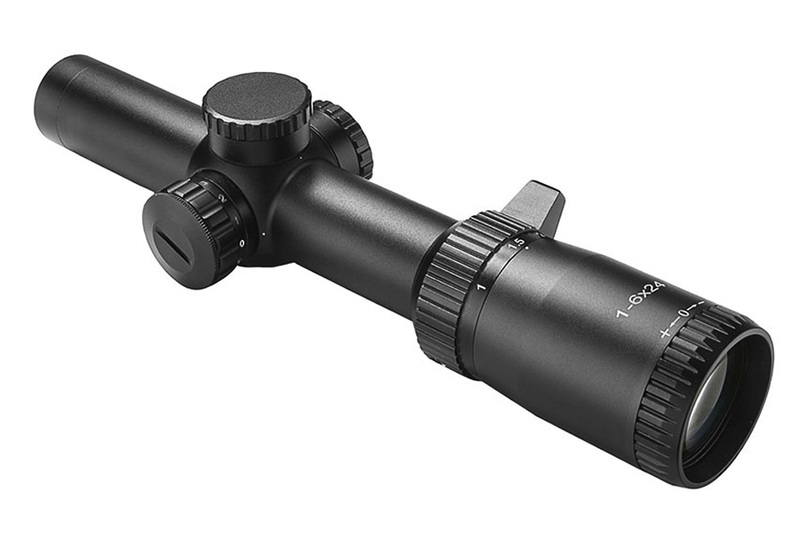 • 1X to 6X variable magnification. • Glass etched LPV (Low Power Variable) reticle. • 5 brightness setting for red/green illumination. • Quick focus eyepiece. • Fully multi-coated lens. • Target turrets with turret caps. 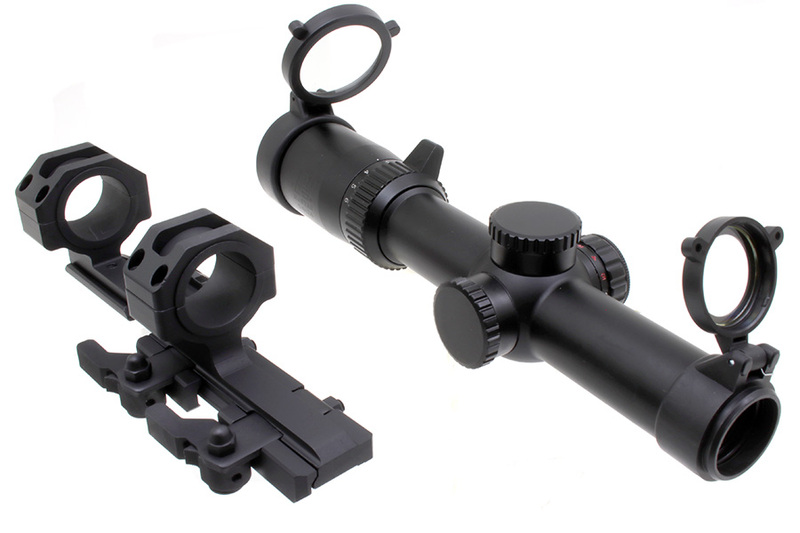 • One piece 30 mm scope body. • Nitrogen Purged and O-Ring Sealed. 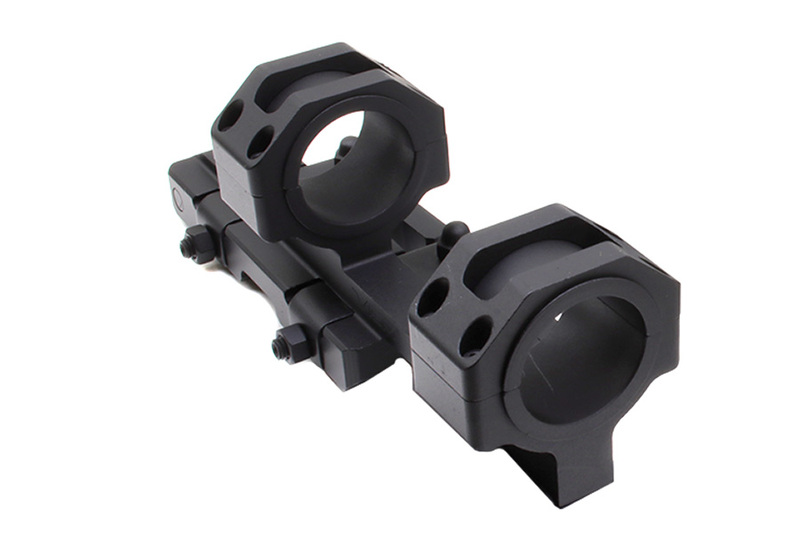 • SPR scope mount with locking quick release mount. • Attaches to virtually any Weaver/Picatinny/MIL-STD 1913 type rails. • Aluminum with black anodized finish.